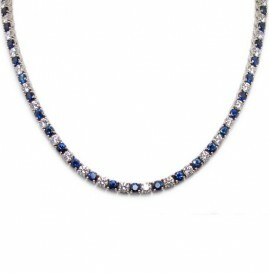 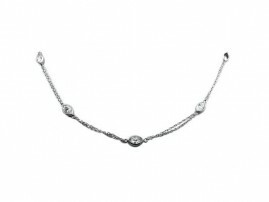 This necklace is both classic and trendy. 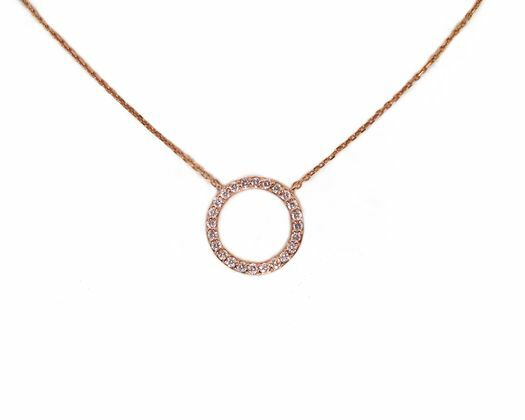 The circle contains 24 round brilliant diamonds weighing approximately 0.35cttw, F-G in color and SI in clarity. 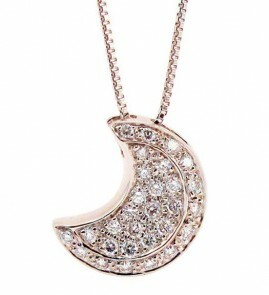 It is set in 14k rose gold and is suspended from a 16.5 inch chain.